No, that title isn’t misleading in the slightest. You see apparently (well at least according to prolific rumour monger and speculation author Paul Gale), Super Mario 64 and a selection of other Nintendo 64 games will be remade for the Wii U, complete with graphical updates and various other features. But it’s most likely a complete piece of crap, and the reasons for this are in the full article. For starters, this is Paul Gale we’re talking about. Remember him and his previous ‘tips’? No? Well here’s a hint; he posted about a completely stupid, over the top rumour involving a Metroid and Stat Fox crossover a couple of years ago. He’s also posted about a Crash Bandicoot reboot (which never happened), a Wii U launching for 400 dollars with a Wii Sports 2 in May 2o12 and a bunch of stuff which isn’t really so much a set of rumours as is it is baseless speculation with no actual information given whatsoever. So while I can’t say for certain it’s complete rubbish due to having no insider ‘sources’ or any concrete evidence, I’d say history supports the claim that it is. Indeed, every single ‘original’ idea from this guy’s mouth has turned out to be as accurate as the likes of Young Earth Creationism (aka not in the slightest) and his chances of getting things right seems to be about as ‘good’ as the daily horoscope, TV psychics and Micheal Pachter’s predictions (aka non existent). This makes it even less likely to be true simply based on how obscure some of these games. I mean, Ridge Racer 64? Really? Because only that or the even less likely Stunt Race 64 fit in the space for the second item, so there’s no other possibility unless he’s going by fan made names or something. And most of the others just seem like the kind of obscure/lesser known (or in the case of Star Fox 64, already remade) titles that wouldn’t really sell a Wii U. And then in the next paragraph he makes a pretty bold assertation that’s most likely completely incorrect; that it takes minimal time and effort to remake a Nintendo 64 with HD graphics. You honestly think a game for a system about a hundred times weaker than the Wii U can be easily ported over to the Wii U like with a click of a button? Which takes quite a bit more time and effort, and couldn’t be done in just a few months with a tiny team and minimal resources. The very premise of the rumour is hence unrealistic. And then you’ve got to factor in this ‘additional content’ which is claimed to be present. Like it or not, the Wind Waker HD added more than a few new things to the original game, and the rumour itself claims that these other ‘remakes’ will add a similar amount of new content to the other games being remade. But hang on, doesn’t remaking the models and textures take a lot of time and effort? Yet now the rumour talks about extra content too? How is all this possible on a low budget with a small staff team that doesn’t take resources from new games in development? Answer: It isn’t. The premise of the rumour goes from unrealistic to ‘pie in the sky’ fantasy. Oh, and more than one of these titles would have to be under development at the same time. Because as we all know, a company ‘struggling’ with HD development can easily devote resources to two games basically needing full blown remakes, one Mario Kart title, one Smash Bros, one Wii U Zelda and numerous other games all at the same time. Doesn’t that seem unlikely to anyone else? – The classic Super Mario 64 in its entirety is being repainted and brought into HD. – Two players can control Mario and Luigi, simultaneously. – Option A gives player one, GamePad control and player two, any other controller option. The camera will follow the brothers as they move throughout the stage, but should they split apart too far, the GamePad user’s Lakitu (camera operator) will only follow that user on the controller’s screen, while the second player’s Lakitu will follow that character on the TV. – Option B allows two GamePads to be used at once. If the brothers are nearby, the camera will remain the same on both GamePads and TV. If the brothers separate, each player will have his or her own unique camera view on their GamePad, until coming back together. While apart, however, the TV screen can be switched to be mimicking either player one or player two or be a top down perspective, map. – Online cooperative/counter-cooperative gameplay is present. – Race to Star, Coin Collector, and other similar modes have been added in to enhance re-playability. So in other words, the article isn’t talking a mere HD port, it’s talking a ‘remade from the ground up’ version that supposedly overhauls absolutely everything. Which means in addition to just a coat of paint and some new HD stuff, the game is supposedly getting a full blown 2 player co-op system, online multiplayer and extra modes in the style of Super Mario 64 DS. Above: You can’t add this in just a few months while also remaking all the graphics and adding new gameplay modes. This isn’t even remotely likely to be real because of this stuff. You can’t just stick two player co-op and extra content in a Nintendo 64 game and port it to the Wii U in a matter of months. It’s just not plausible. It’s something I would come up with in a wishlist, not something that Nintendo would consider for development on a whim and have ready in a matter of months. It also fails in that it forgets how Super Mario 64 has already got a perfectly good remake. 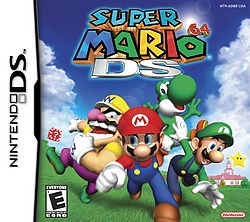 You know, Super Mario 64 DS, that launch title the DS came with back in 2005 or so. Why not just port that over and fix the controls? It’d take less effort on Nintendo’s part than trying to remake a much older game that’d need the new models made from scratch and the new content added in the same way. Above: Do people forget this game exists? Additionally, even the concept of Nintendo remaking older games for the Wii U is becoming less likely given Wind Waker HD’s mediocre sales situation, and it’s because remakes in general do not sell anywhere near as much as new games do. Why would they put effort into a remade Nintendo 64 line up like this when the overall results on sales would likely be completely neglible and barely make up for the time and effort required? It just doesn’t make sense. His defence of his track record doesn’t help either. Oh sure, he predicted a 3D Mario game for the Wii U that’d come out in 2013. How exactly is this something shocking or unbelievable? Many people likely predicted the exact same thing, and his article was ridiculously vague and gave no concrete information. So all in all, I think this rumour is about as likely as the world ending within our current lifetimes. Or Elvis Presley returning as a major singer. Or Nintendo buying out Apple and creating iPhones that can play Nintendo titles. Just ignore it and its desperate attention seeking excuse of an author. This is most likely fake, but if it ever ended up to be true I would be very mad. I love Super Mario 64 but it doesn’t need an HD remake, it just needs to be on the eShop already so I can play it on the gamepad. If Nintendo really wanted to re-release old games on the Wii U, they should just make a stupid collection disc at a reasonable price. If I do receive more concrete information, I will definitely share it…and that goes for both it being proven true or false. I personally hope it is the real deal, because it’d be a smart move for Nintendo to make in my opinion. If smaller teams could focus on several month long titles to pump out that are awesome, in between the more grand 2-4 year development games for Wii U, then why not? We’ll see how this paves out and hope for the best in the time being. You’re welcome and you’re also correct about the fact that revamping older 3D games is a more difficult task than something released in the last generation for instance. I don’t know if this is really happening or not, but it was too wild not to share with others so I did as soon as I got it. Time will tell. Okay, fair enough. Don’t blame you for posting it given how someone sent you it by email, nearly anyone would do the same thing. Thanks for understanding and have a great one! Why is Wii U news being posted so much on 3DS Daily? Because it’s interesting I guess. We do mostly post 3DS news and articles though. It’s also because it’s convenient. I don’t want to run a Wii U site in addition to a 3DS site, so a bit of network/magazine decay is fine. Kind of like how the various big news sites out there cover way more than what they set out to (see IGN and their movie/TV coverage or TV Tropes having non TV related content). 1: Shigeru has mentioned that he would like to do more HD remakes. 2: This same guy who apparently spits out nothing but rubbish told us about Mario 3D World before it was revealed. 3: Who said it was coming out in a few months? Or even when development started? Hell, they could have been working on this stuff for awhile. Not that I believe this, you should at least consider these things. I don’t think an HD update is needed, but that doesn’t mean it won’t be fun. I play SM64 about once a year, just plow through it… it’d be nice to have something change, as the last update was the ability to play it with a GameCube controller on the Wii in 2006. And it’s not like it will be Lucas with the Star Wars special editions: I don’t think Nintendo will whitewash the original version by pulling all copies from publication. I would love it if Nintendo re-remake a Super Mario 64 playable on Wii U! However I would want them to just port the ds version to the wii u because I already liked how it is on the ds, and also that it would take less time. I don’t have a ds, so I say: Nintendo, please make it happen! In fact, do the same with Super Mario Sunshine and Paper Mario!